Air Recycling Systems (ARS) are a quick pathway towards significantly reducing compressed air demand from the blow molders, thereby minimizing air compressor run-times which saves electricity. In the 1980’s a manufacturing cooperative was formed to provide numerous plants of a well-known beverage company with hundreds of millions of bottles each year. As part of its blow molding machine mix, the cooperative purchased (17) Sidel blow molders capable of a daily output of 800,000 to 1,000,000 bottles per day. 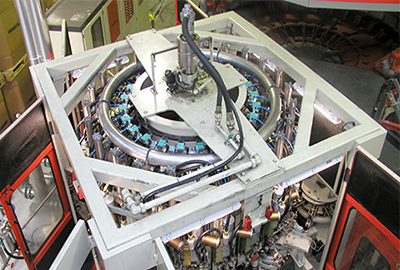 These machines used a significant amount of electricity to heat the bottle preforms in an electric oven and then once heated, used expensive compressed low and high-pressure air to blow mold it into containers. All told the cooperative’s blow molding plants were spending between $2.5 million to $4.0 million dollars per year which represented the 3rd largest line item in the budget just behind materials and labor. In reaction to this problem, executive management decided to implement a sustainability strategy to significantly lower the company’s electricity spend as well as reduce its overall Scope 2 CO2 emissions. One of the biggest challenges was in finding proven and affordably priced solutions that could meet these two goals. The cooperative also realized that any investment in energy saving technology needed to conform to its capital budget requirements of having a payback of 18 months or less. 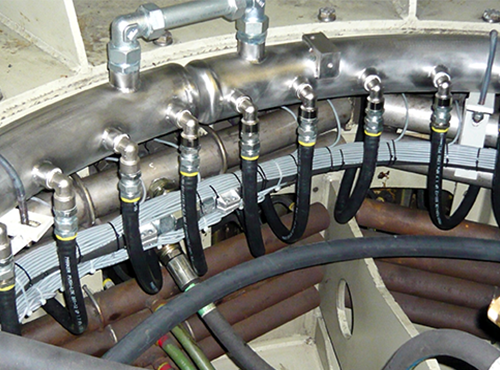 The solution offered by Connell Industries was to install Air Recycling Systems (ARS) on the Sidels that were designed and built by Technoplan S.A., Geneva, Switzerland. 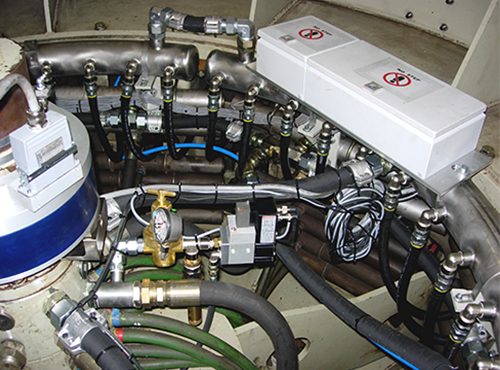 Their state of the art technology consists of a series of valves, electronic components, piping and receiver tanks that capture 40-50% of the air normally discharged to atmosphere by the exhaust valve during the blowing cycle. It then recycles a portion of the captured air back to the blowing process with the remainder directed back to the plant utility air system. This in turn reduced the amount of time the 500 HP Ingersoll Rand compressors ran thereby saving a tremendous amount of electricity and Scope 2 CO2 emissions from being generated. The installation took only 3 days, and if needed, the blow molder could be put back into service for the night shifts to run which minimized the impact to productivity. This reduced compressor usage not only saved electricity, it also increased plant compressor capacity and lowered operations and maintenance costs. One plant that installed ARS systems on all (3) of its Sidel blow molders cut its plant electricity bill by 25% saving 5.5 million kilowatt hours and over $600,000 per year. Furthermore, since the ARS systems qualified for energy efficiency rebates from the local utility, the payback on the (3) ARS systems was under 12 months.